Long time member of the Bush Music Club, Dave Johnson presents a swag of old, and not so old, bush songs and tunes that resonate with the Australian psyche. 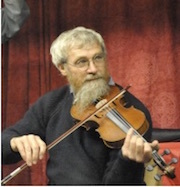 Many of these will be from his mammoth book of Australian songs, including poems that he has set to tunes and others unearthed in his folkloric studies, and accompanied with guitar, banjo and concertina. Plus, on fiddle and concertina, some wonderful collected dance tunes that he has had some special association with. David moved to Sydney in 1970 to study science at Sydney University. In 1971 he found and practically wore out Alex Hood's LP The First Hundred Years and discovered Australian literature by attending Manning Clarke's lectures on Henry Lawson and others. A bit of sleuthing led him to the Bush Music Club's Beer and Cheese Night at Burwood in 1972, and then he was a regular, enjoying each session and then impatiently waiting for the next monthly instalment. 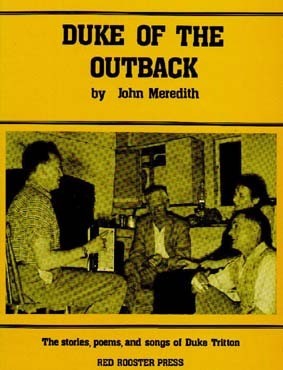 The BMC at the time was under the leadership of Jamie Carlin and Barry Collerson, and these two plus Eric Bolton, Bob Bolton, Tony McLachlan, Frank Maher, John Dengate, and others provided a remarkable immersion in Australian bush and contemporary songs. His persistence was recognised and he was elected onto the committee and later vice-president and then president. By then Ralph Pride had returned from Tasmania and with him and Bob Bolton and David and a large team of committee and sub-committee members, the BMC became more active with music and dance workshops, monthly dances, annual balls, an annual festival, a booking agency, and publications. David was instrumental in rewriting the BMC Constitution and was president for just three years, believing that the club would be better served by a turnover of leadership that would bring new ideas and energy. In 1984 Bush Dance was published and soon followed by the companion Dance Instructions. Dave was awarded life membership at the 1984 AGM in recognition of his service to the Club.